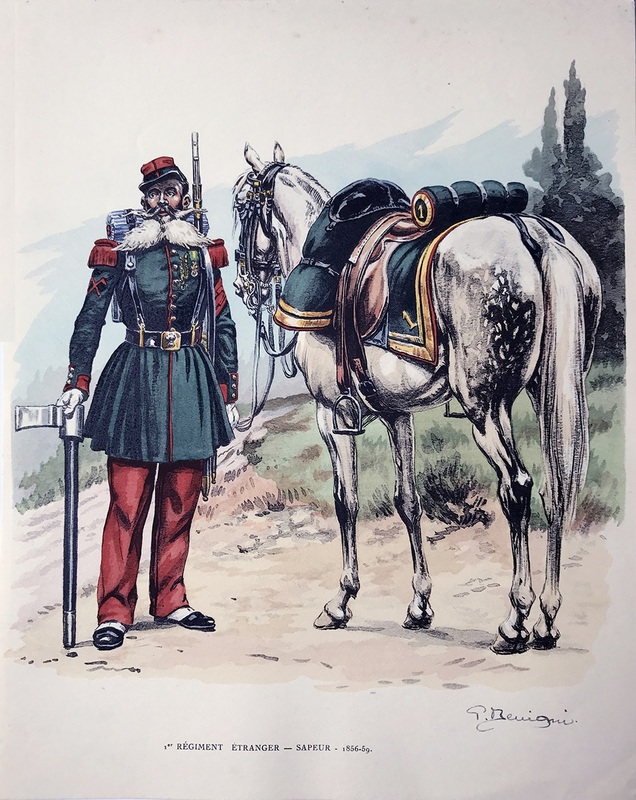 I found these color uniform prints recently at the Pritzker Military Museum and Library. The artist is Pierre Benigni whose work on the Foreign Legion usually appears as black and white illustrations. 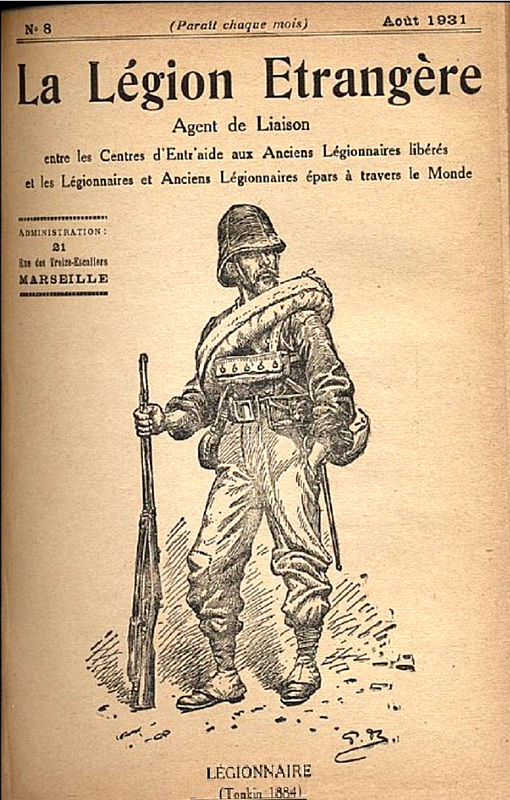 Many of his drawings appeared on the covers of La Légion Etrangère which was the predecessor to the Kepi Blanc magazine known as (see below). 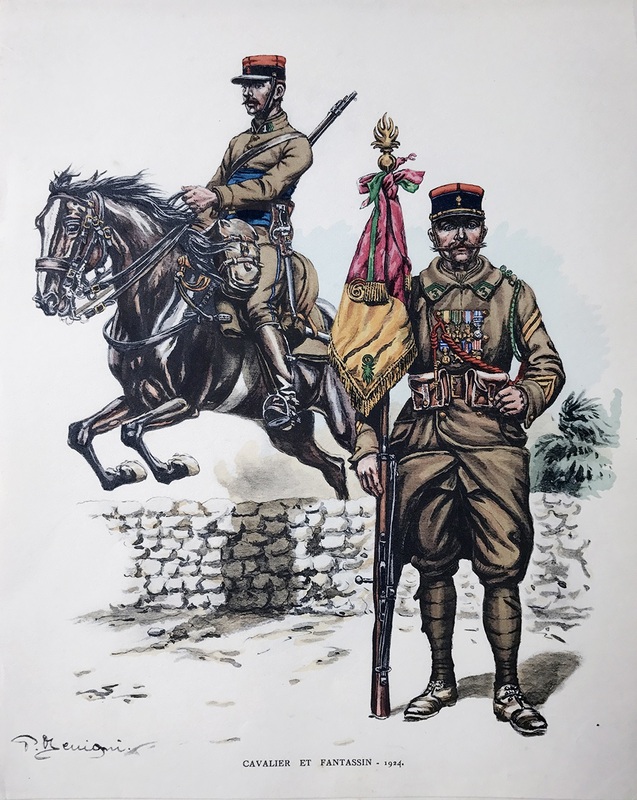 These four illustrations are some of the uniform prints that appeared in the first edition of the Foreign Legion’s Livre D’Or that was published for the Centennial of the Legion in 1931. Pierre Benigni, (1878 – 1956), was a 20th century French military painter who specialized in Napoleonic armies. 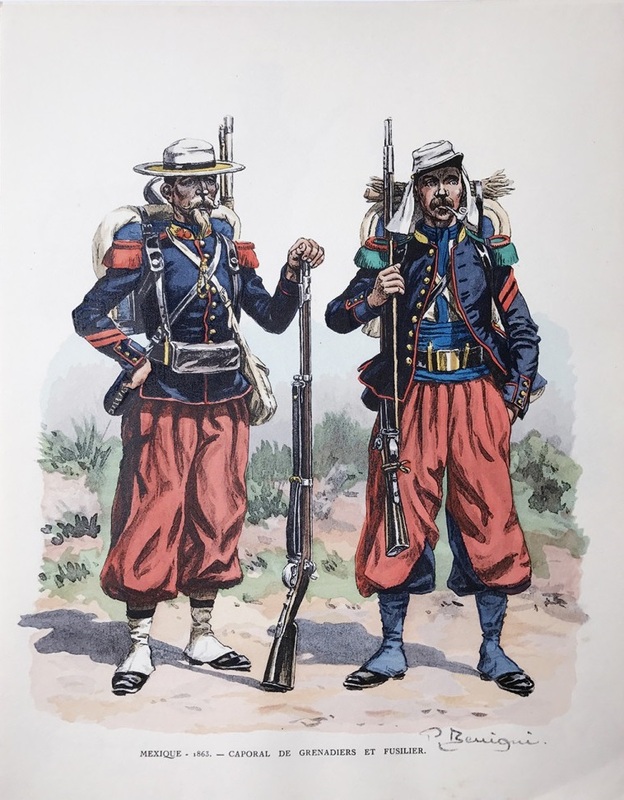 A pupil of Édouard Detaille, he became, after Maurice Mahut (another prominent illustrator of the Foreign Legion), the appointed military painter of the Legion and immortalized the Legion regiments on foot, mounted companies and cavalry units. He was named an honorary Legionnaire 1st Class in 1933 for his illustrations and given the matricule number 12,002. 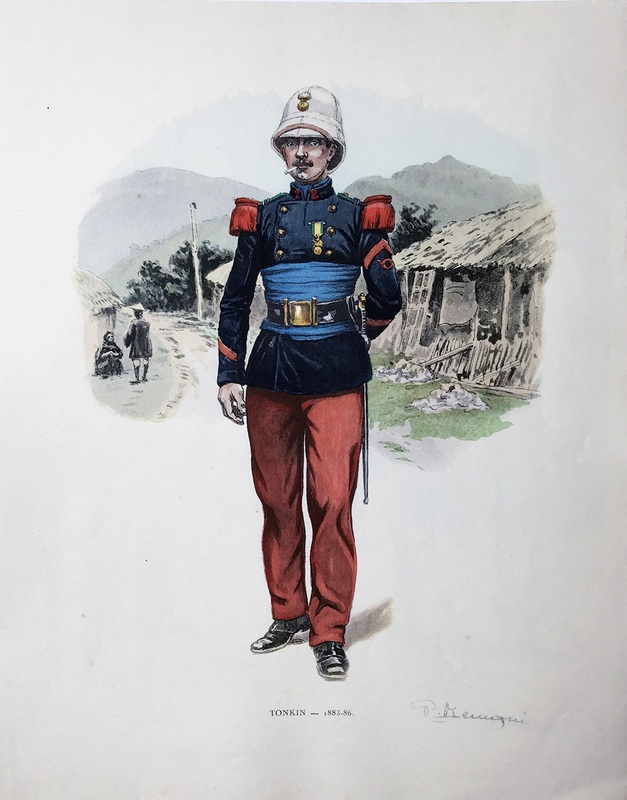 This entry was posted in Art & Illustration, Uniforms. Bookmark the permalink. You do a great job Jack! The Mexicians celebrate Cinco De Mino, France the Cameroon, and we “Remember the Alamo”. One victory and two losses. Go figure! Thanks Ralph, I never noticed these three together. Cinco De Mayo was a loss by the French (Puebla) as was Camerone and the Alamo was a loss for the Americans. So there are three wins for the Mexicans when you think about it.